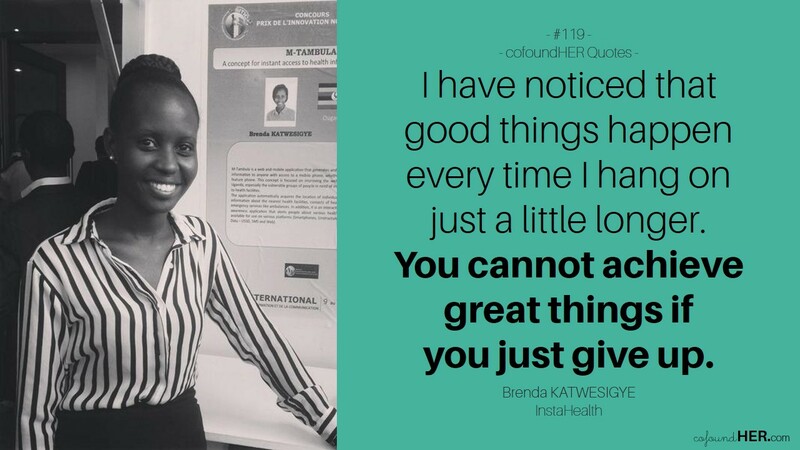 From the day her uncle said he saw her as a creator of software and a manager of her own company, Brenda Katwesigye started working towards being an entrepreneur. 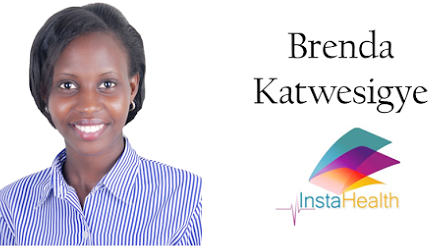 A graduate of Telecommunication Engineering from Makerere University, Brenda worked at Orange Uganda, where she gained a lot of interest in Value Added Services. This experience is where her company, Instahealth, has been hinged on. Instahealth is an application that enables people to instantly have access to health information and services. Over the last few months, they have registered more than 4,500 minutes of calls within their pilot phase. The ultimate goal of Instahealth is to create an Africa connected to health in the fastest and most convenient way possible. Brenda loves to create and try out new things. This led her to Deloitte where she felt she could learn more in the area of Information Systems. There, she became an analyst, reviewing and assessing different systems for various clients, and as a result, getting a lot of exposure to understand how systems work. She loves travelling and having new experiences with people, and her face lights up if somebody suggests a road trip. InstaHealth is a startup based in Uganda whose vision is to create the finest and most reliable health technologies for individuals living in Africa. It’s a registered trademark of SyncHub Innovations Limited, a software development company registered in Uganda in February 2014. Instahealth is an application that enables people to instantly have access to health information and services. Over the last few months, we have registered more than 4500 minutes of calls within our pilot phase. Our ultimate goal is to create an Africa connected to health in the fastest and most convenient way possible The InstaHealth mobile application enables anybody with a feature phone or a smartphone to access a doctor instantly. It uses geo-location and an interactive voice response (IVR) system to instantly connect users to health centres, specialists and ambulances. Was there any point when you felt like giving up on your business? A lot. I have felt like throwing in the towel a lot but then I always remember that you cannot achieve great things if you just give up. I have noticed that good things happen every time I hang on just a little longer. Success to me means being able to create impact or to inspire someone to do something they never thought they would be able to do. If you win the She Leads Africa competition, what’s the first thing you’d do? How would the prize money impact your business? At this point, the business needs to grow. I feel that we are still in earlier stages and we need to grow use base. That is the first point of contact for that money. If you could give one piece of advice/encouragement to a large group of aspiring entrepreneurs, what would it be? Two things; Perseverance and Passion. Those two move hand in hand. If you are excited about what you are doing, you will certainly grow it into something that makes a difference. To learn more about InstaHealth, visit their website or follow them on Facebook and Twitter. To see Brenda pitch live on stage, reserve a ticket to the She Leads Africa 2015 Entrepreneur Showcase HERE. Every day this week, we will be profiling the six finalists of the She Leads Africa 2015 Entrepreneur Showcase. Follow the series HERE.